This talk will present a unifying theme among the various effects of protein charges and polar groups. Simple models will be used to illustrate basic ideas about electrostatic interactions in proteins, and these ideas in turn will be used to elucidate the roles of electrostatic interactions in protein structure, folding, binding, condensation, and related biological functions. In particular, I will examine how charged side chains are spatially distributed in various types of proteins and how electrostatic interactions affect thermodynamic and kinetic properties of proteins. Both important historical developments and recent experimental and theoretical advances in quantifying electrostatic contributions of proteins will be highlighted. 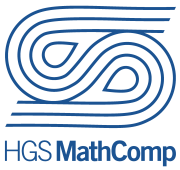 This talk is part of the HGS MathComp Ladyzhenskaya Lecture Series. 5. open problems, requirements from the applications. This talk is organized by “Mathematics of Life” - a special interest group of doctoral students of the HGS MathComp.